Maxwell Van Nuys, 97, a long-time resident of Denver, Colorado, died Thursday, October 31, 2013 at his home. Max was born December 18, 1915, in Rapid City, South Dakota, to Claude C. and Laura (Bower) Van Nuys. The family later moved to Cranford, New Jersey, where Maxwell spent most of his boyhood. Max earned a degree in civil engineering from Bucknell College in Pennsylvania. He served in an Engineering battalion during WWII, crossing the English Channel a few weeks after the 1944 D-Day invasion. After the war he worked for the Tennessee Valley Authority, the State of South Dakota, and as a hospital inspector for the State of Colorado from 1960 until he retired. Max had a passion for the history of the American West, especially concerning his beloved home of South Dakota. He spent many years researching the life of the Santee Sioux leader Inkpaduta, the presumed instigator of the Spirit Lake Massacre in northwestern Iowa in 1857. In 1998, he self-published Inkpaduto-The Scarlet Point: Terror of the Dakota Frontier and Secret Hero of the Sioux, later republished as Inkpaduta - Sitting Bull's Predecessor. He also compiled The Daring Venture for Custer's Gold, published by Johnson Printing in Boulder, Colorado. 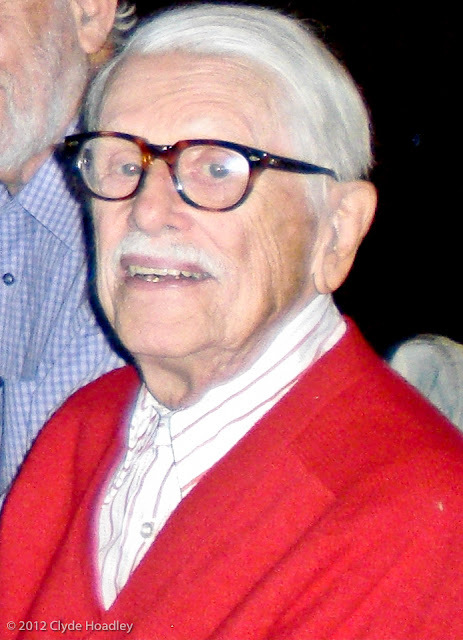 In addition, he preserved and provided the diary of his aunt, Alice Bower, and letters between her and newspaper publisher Joseph Gossage, and wrote a chapter on the history of the Rapid City Journal for the book Sunshine Always: The Courtship Letters of Alice Bower and Joseph Gossage of Dakota Territory, published by the South Dakota State Historical Society in 2006. Max also convinced his mother, Laura Bower Van Nuys, to write what became The Family Band: From the Missouri to the Black Hills, 1881-1900. published by the University of Nebraska Press in 1961. This volume recounted the Bower family's migration to western South Dakota and the local fame enjoyed by Laura and six of her seven siblings in organizing a touring brass band. In 1968, Walt Disney bought the movie rights and released the musical "The One and Only, Genuine, Original Family Band." In 2009, Max was awarded recognition by the South Dakota State Historical Society for his life-long devotion to the history of South Dakota. He is survived by his long-time friend, David Wang, of Denver, Colorado; his niece Laura Tonkyn and nephews James Van Nuys and Frank Van Nuys, and their families, all of Rapid City, South Dakota. A memorial service was held at the First Unitarian Church of Denver on Thursday November 21, 2013. Inurnment will be at Mountain View Cemetery in Rapid City, South Dakota. Max had requested that a recording of "The Pilgrims Song of Hope" (Batiste) be played at his memorial. The recording had been played at his mothers funeral and at his aunts funeral. They had the original 78rpm phonograph at the service. I found a YouTube recording of the music; I'm sure it's the same recording as the 78. J Arthur Meale plays the organ of the Queens Hall, London. This is a track from Beulah 1PD5 Historic London Organs. 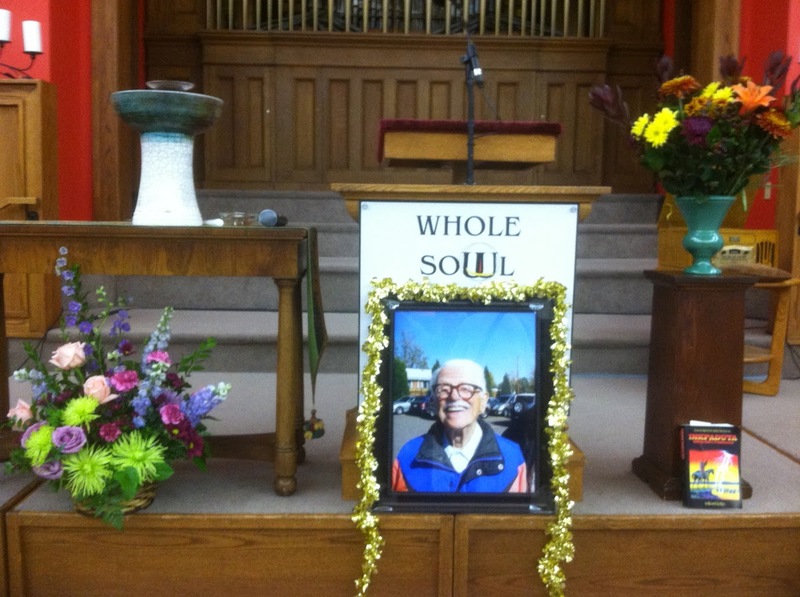 Note that the sign "Whole Soul" is attached to the lectern behind Max's photo, but Max was a non-theist and didn't believe in life after death. Also see the related blog post: "Max and the missing railroad."